Cellex-C High Potency Serum, oil-free serum was created by Dr. Lorraine Meisner, a cell biologist and cytogenecist and Dr. Michael Schinitsky- a pathologist. Tone and firm sagging skin and reduce the visible signs of aging. Designed by dermatologists to help rid the face and neck of fine lines and wrinkles. 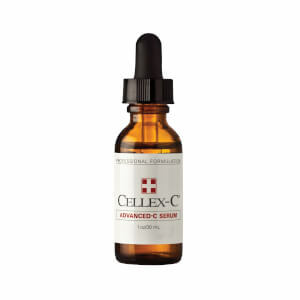 Cellex-C High Potency Serum causes skin to gradually appear firmer and smoother, with improved color, tone, and texture. Please note: SkinStore.com unequivocally guarantees that Cellex C is not expired, will not expire shortly after purchase, and is the genuine Cellex-C produced by Cellex-C International and distributed by Caleel + Hayden. Once every 24 hours, apply 4-5 drops of Cellex-C High Potency Serum to face, neck and chest. Follow with Cellex-C Hydra 5 B-Complex and moisturizer of choice. Zinc Sulfate, Water (Aqua), Ascorbic Acid, Acetyl Tyrosine, Sodium Hyaluronate, Bioflavonoids. Been on it for 25 years! I use Cellex-C High Potency Serum dabbed lightly all over my face and neck before I put on moisturizer, every night, and my complexion is evening out. I had some dark spots that are less noticeable. Also use it for infrequent skin break-outs, and they will have disappeared by morning. I didn't enjoy the smell that developed on my face and palms when I used this product, nor did I enjoy the orange tinge that developed either. I trusted that vitamin C is good for anti-aging skincare but it cost too much and had unpleasant effects to continue. Plus I saw no difference in the quality of my skin after using 2 bottles (oily skin, large pores, acne scars, wrinkles). Longterm use of this for results? No thanks. (use it with Hydra B, if you are going to use it at all, but, use it! It did (after one month reduce my large pores about 60 %)...pores I have had for 20 years! Also firms skin, makes baby smooth...my husband was so impressed!...and adds a nice healthy glow! I have been using vitamin C on my skin for years. It's a great booster. I've had no reactions or negatives from this product. Highly recommended. I am 28 with oily, uneven skin with bags, dark circles and several wrinkles around and under my eyes (lucky me!) After seeing all the great reviews and before and after pics I thought this would work awesome. But after using it for 2months (faithfully) I saw absolutely no change in my wrinkles or firmness of skin. However I must admit it made my skin soft, making foundation very easy to apply. Seemed to get rid of get rid of excess dead skin on my face. But, considering the price and the nonexistant change in my wrinkles I was very dissapointed with this product. I received compliments for my skin lately from 2 of my friends that I only see every couple of weeks. They both said my skin looks radiant, smoother and my pores are less visible. I am only 32 but my skin has always been problematic. Oily, yet sensitive and dry. Besides my forehead already shows first signs of ageing. 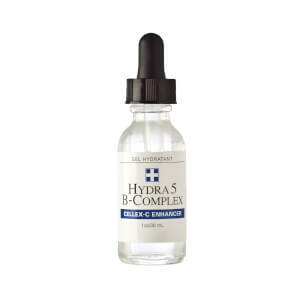 This formula in combination with Hydra 5 B-Complex makes my skin tighter, fine lines are less visible, the skin tone is great, almost 'glowing'. I love it! I have been using the Cellex-C for 6 weeks now and am loving the results. I apply it, the booster, then Clarins UV 40 sunscreen and I don't have to wear foundation anymore! I'm 42 w/ mild rosacea and my husband has commented on the difference. I don't see any lines or discoloration disappearing (as claimed), but I do like the way it firms +makes my skin look. I think it's the combination of all three products. I have tried other products but nothing works like Cellex C High Potency Serum (and all the support products) to keep my aging skin looking healthy and smooth. i've been using cellex-c high potency serum for a few years now and i find it works beautifully. i've noticed firmer skin and my wrinkles have significantly diminished. i used to have a number 11 between my eyebrows, and that has improved. great products. recommended to anyone looking for an anti-aging system that works.